The launch was acomplished by dynamic method using launch vehicle (Tiny Tim) on July 28th (utc) after a long wait by right meteorological conditions and one aborted flight. After a nominal ascent phase the balloon reached the float altitude of 120.800 ft and started a drift to the west of the state (click the map on left to see the path of the balloon). 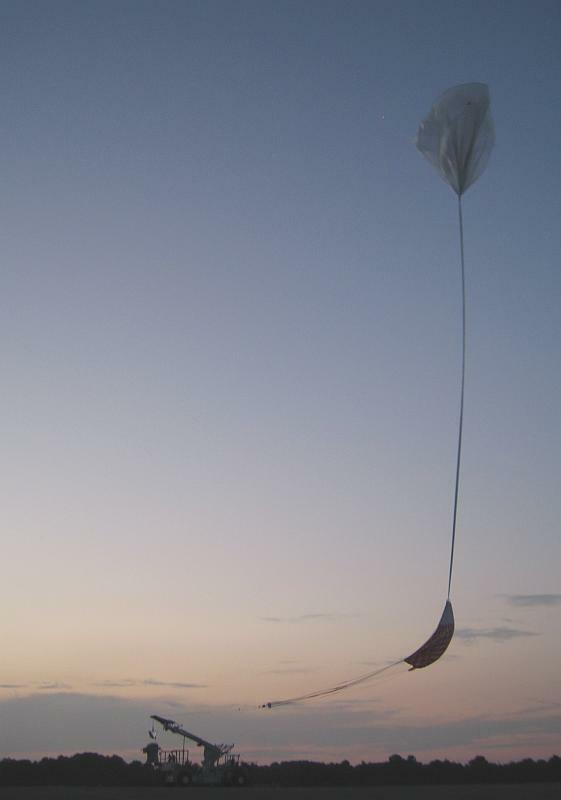 After 9 hours of flight at 10:12 utc on July 29th the separation command was sent. 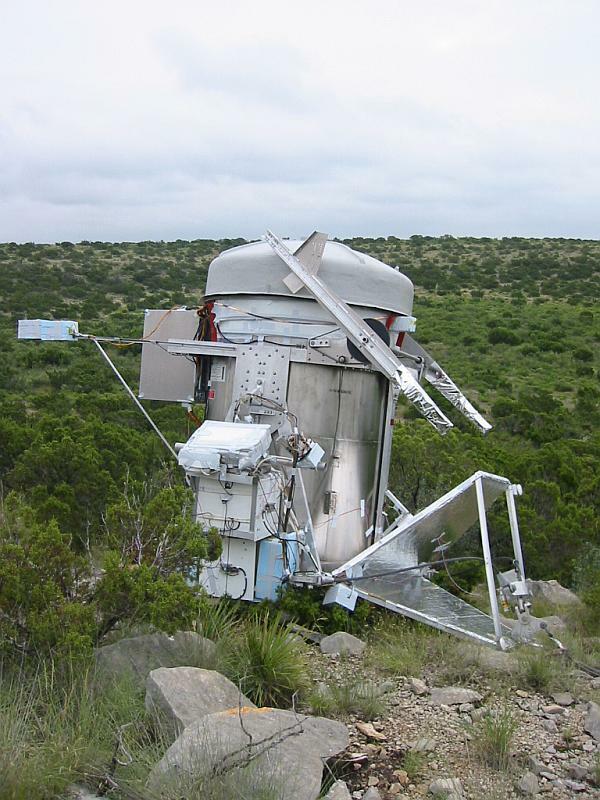 The gondola impacted ground 51 miles East Northeast of Fort Stockton, Texas (31-06.5 N / 101-54.8 W) at 10:53 utc. 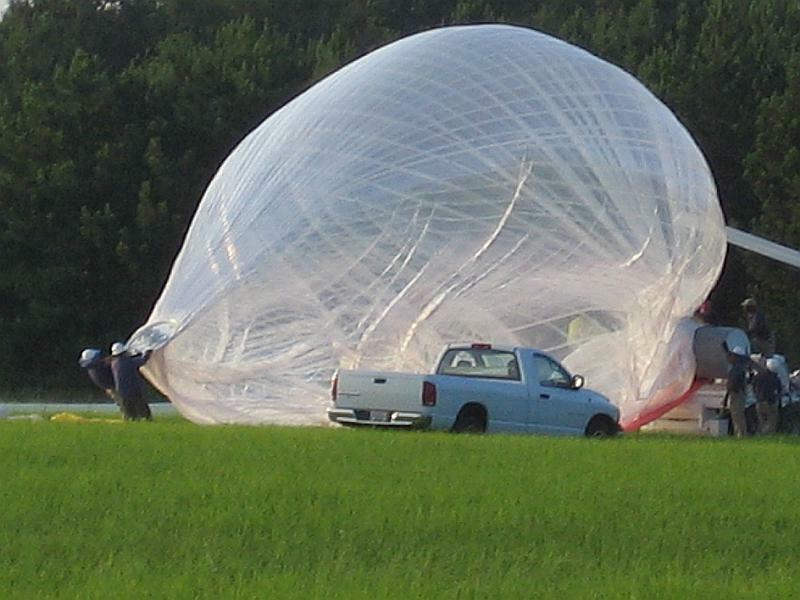 That was a night termination using the SAPR system for parachute separation. Telemetry indicated a normal SAPR functioning. 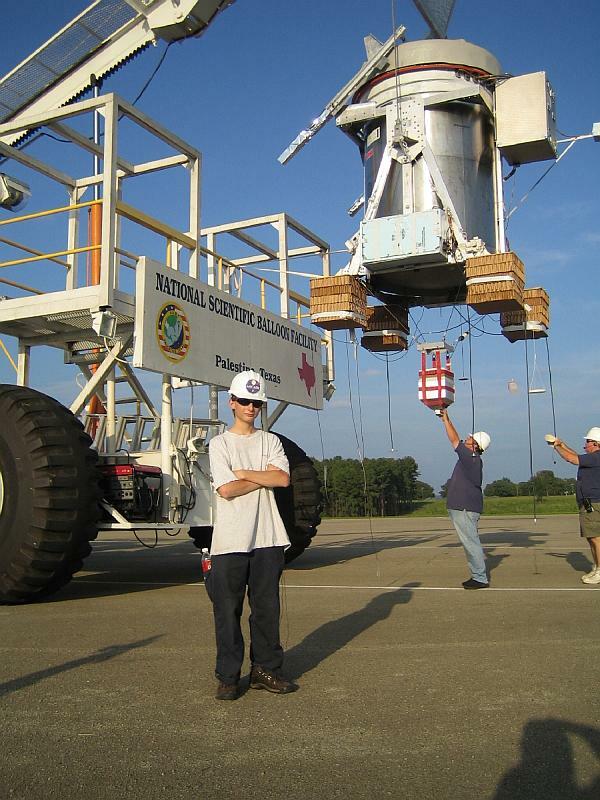 This was the second flight of the instrument and the first one devoted to make scientific observations. 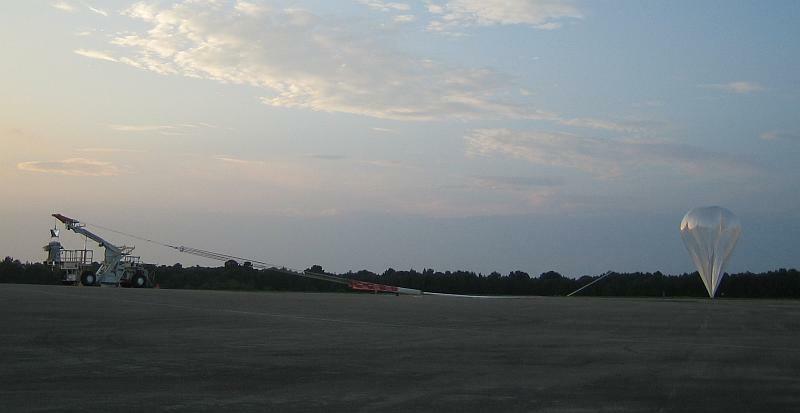 During the flight, the instrument performed welll but the carousel became stuck in one position soon after observing commenced. The cause was traced to the output torque of the carousel motor exceeding the maximum torque of the attached gear box, stripping the gears. This was remedied for the next flight in 2006. During this flight, also the magnetometers failed, so the pointing path was reconstructed with a combination of the data from the inclinometers and radiometric observations of the Galactic plane crossings.